We’d love your help. Let us know what’s wrong with this preview of Gingerbread by Robert Dinsdale. To ask other readers questions about Gingerbread, please sign up. What are some disturbing areas of this book? What age group would you recommend this book for and why? 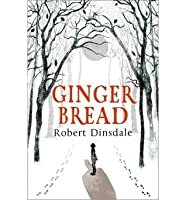 Robert Dinsdale, an English author, has spun a spectacularly wild tale about a boy, some unforgettable forest fables and forest in the unexplored land of Belarus, in his new novel, Gingerbread. I'd like to thank the author immensely, for sending me over the copy of his new novel, in return for an honest review. A young boy travels to the other part of city with his mama to visit his grandpa, who he used to address as "papa". But then his mother dies due to cancer, and his mama make him promise her that he would take care of his "papa" no matter what. Thus begins the story of a boy and a man who was once a boy! His mother wanted to take her ashes to the tenement where she grew up with her baba and papa in the forest. But after reaching the forest and after laying his mama alongside her baba, his "papa" couldn't leave the forest and become relentless to go away from the wild, so they settle up there in the forest by making camps and dens and eating the dead his mama's gingerbread and listening to the trees and living up with the wild. Each season goes by, and the boy's "papa's" wild fables become wilder and more sinister with the tales of the Perpetual Winter in the City of Gulag and the Winter King's wrath. But when a little girl, named Elenya comes to live in the forest along with her parents in the boy's old house, things get changed and the boy becomes more drawn to the life he had abandoned in the city and seeing the girl with her parents in a warm home, leave the boy with a longing feeling and thus eventually he grows more distant from his "papa". Will the boy hold onto his wild "papa" to keep his mother's promise? Will his longing make him go away from the wild which is now his only home? Read this delirious novel which not only awes your mind but also leaves your heart with a longing feeling for the unknown wild out there. You must be wondering what the boy's name and why the protagonist do not have a name, well to be honest, that's a mystery and it is revealed later, and for that you really need to read this compelling novel! This is a good book to break away from the daily hustle-bustle of the city. But this book is not a light-read book, instead, it has got a depth like The Devil's Sinkhole, that for the whole time you lose yourself in the wilderness of the forests. What can I say about the author's illustrious storytelling, in one word- completely incredible. Not even for a single second, I found myself wandering away from the gripping tale. A boy, his dead mama, and his papa (his mama's father), Elenya and Mr. Navitski are the key characters of the book, which adds an edge to the tale which makes the story more believable and justifiable. Their flaws are dark sides are strikingly portrayed, for example, the girl, Elenya had a dark side and it was not revealed in the story and that anticipation made the story more intriguing. The characterization is skillfully crafted and the unfolding of the plot was remarkably narrated by the author. The author has shed light about the wilderness which somehow held the answers to the boy's unanswered questions and curiosity. Do read this novel and find yourself losing away in the wild of the nature and in the fables that touch your mind and soul by leaving an impression upon your mind. I'm still digesting this dark, compelling, wonderful novel and will review fully in due course. This book will stay with me for a long time, it's a tragic tale about a grandfather and a boy after the boy's mama dies and how resilience and a promise keep them together for good and ill.
Its a very emotional novel and very well written, I am looking forward to reading more of Robert Dinsdale's books. In a nutshell: A dark and atmospheric story that combines history with fairy tales and is unlike anything I've ever read. With some books, you read the description and you kind of know what you're going to get. That's not a bad thing - I love what's familiar and when I pick up most books, I'm in the mood for that thing and I'm mostly satisfied by what I get. With some books, it's a bit more complicated and there's more to it than meets the eye. This is when genre labels have their limitations, in my opinion. Gingerbread is one of those books and because of that, it's very difficult to describe. At least I don't think I can describe it and come even close to giving it justice. How could I possibly represent the essence of this weird and wonderful story? At the very heart of this story is a young boy and his grandfather, who cares for him after his mother's death. It's a dark tale set in Belarus, mostly in the woods, and like the book itself, there's a lot more to the stories that Papa tells than meets the eye. I appreciated the combination of history and the tales. Papa's stories were very haunting. It's chilling when you come to the realisation of their truth, along with the boy. I had a suspicion about it early on, but it's built on throughout and adds to the atmosphere of the story. Gingerbread is a story unlike any other I've read before, but with the vibe of Grimm's fairy tales, which echoes throughout. It's very dark in tone and the lines between reality and something else entirely blur, particularly in the second half. Gingerbread is quite odd and there were times when I wasn't even sure what was happening. Honestly I enjoyed the intrigue of the first half more than the second half, with the introduction of another character, and I wasn't necessarily too invested in the characters. My favourite things were the words themselves. Overall this book was so captivating. Robert Dinsdale is a great writer in how he creates the atmosphere and really absorbs the reader with his words. I wanted to find out what was going to happen, but more than that I wanted to make it last and savour every word. It was different to the majority of my reading experiences in that sense and I didn't want it to end. Gingerbread is definitely the kind of book that you should try for yourself to properly appreciate it. It's not going to be for everyone and I understand why, yet if you like dark books and fairy tale twists on stories then give it a try. For me, it was a reading experience unlike any other. A boy is brought to the house of his grandfather, a bleak tenament flat in a Belarussian town. His mother is dying of cancer and has brought her son to live with her father. Slowly, reluctantly, Grandfather, or Papa, begins to tell the boy and mother the stories he told to her as a child. Of Baba Yaga, the deep forests, and of the mighty Winter King and the King in the West who fought a terrible war over Belarus when it was Poland. The mother's dying wish is for her ashes to be scattered with th A boy is brought to the house of his grandfather, a bleak tenament flat in a Belarussian town. His mother is dying of cancer and has brought her son to live with her father. Slowly, reluctantly, Grandfather, or Papa, begins to tell the boy and mother the stories he told to her as a child. Of Baba Yaga, the deep forests, and of the mighty Winter King and the King in the West who fought a terrible war over Belarus when it was Poland. The mother's dying wish is for her ashes to be scattered with those of her mother in the great ancient forest beyond the town. Grandfather, or Papa, is deeply reluctant but on a day when the roads are deep in ice he relents and takes the boy and his mother's remains out to a near ruined house. It becomes clear that Papa is not afraid of the forest, he is afraid of not wanting to leave it. Daily Papa remains in the house only venturing to collect the boy from school, then one day he does not come and the boy goes in search of him. It is the beginning of a stunning magical cartwheeling story where boy and grandfather leave the urban for the wild and enter a world of stories, of partisan fighters who retreated to safety among the trees, of women and children massacred and the trees that drank too deeply of their blood and have become wicked, of survival, and love. There is more to this novel than meets the eye. I would never have expected the story to develop and end in quite the way it did. Gingerbread begins by introducing us to a young boy, who through most of the book we only know him by "boy". His mother is dying of cancer and she takes him to go and live with his grandfather "Papa". After an emotional and gripping beginning, the author then takes you on a journey which as I have already said is unexpecte I won this book through Goodreads First Reads. There is more to this novel than meets the eye. I would never have expected the story to develop and end in quite the way it did. Gingerbread begins by introducing us to a young boy, who through most of the book we only know him by "boy". His mother is dying of cancer and she takes him to go and live with his grandfather "Papa". After an emotional and gripping beginning, the author then takes you on a journey which as I have already said is unexpected to say the least. I enjoyed this book a lot and I feel that it started off strongly. I couldn't wait to see how things would develop after the death of the boys mother. Things got interesting, however somewhere mid way through the book I did temporarily for maybe 50 pages or so find my attention wavering somewhat. I only became interested again once Elenya became a regular character as I feel that she brought a breath of fresh air to the story. From there I was gripped again right up until the end. I found the characters believable and intriguing. Elenya, as I have already mentioned was one of my favourites. I liked how innocent and daring she was, along with being so fierce and loyal. Meanwhile the "boy" gives the reader a believable view of the world and his situation through the eyes of a child. He seems so innocent and naive at every turn and I desperately wanted him to understand what was really happening and do something about his terrible situation. Papa was possibly the most interesting character of the lot, and his stories were fascinating. 'Gingerbread' is a wonderful tale mixing stark reality with fairytale and folklore. Dinsdale tells the story of an orphaned boy and his grandfather, who go to the forests in Belarus to scatter his mother's ashes. The boy has promised his mother that he will protect his grandfather, a task he takes very seriously; a task much bigger than he imagined. As the story unfolds, Grandfather's tales unearth a terrible history, which bring to life horrors the boy had imagined were only for stories. As the 'Gingerbread' is a wonderful tale mixing stark reality with fairytale and folklore. Dinsdale tells the story of an orphaned boy and his grandfather, who go to the forests in Belarus to scatter his mother's ashes. The boy has promised his mother that he will protect his grandfather, a task he takes very seriously; a task much bigger than he imagined. As the story unfolds, Grandfather's tales unearth a terrible history, which bring to life horrors the boy had imagined were only for stories. As the story progresses, Grandfather's health unravels, and his grasp on his current reality wavers. It happens slowly, and we see it through the eyes of the boy, who does not understand what is going on, which has a similar effect on the reader as 'The Yellow Wallpaper' by Charlotte Perkins Gilman - we don't notice how much the horror has built until it reaches its climax. The way I read this book - which was piecemeal - did not do it justice, and I'm wary now of critiquing too much. I found it difficult to get into Grandfather's tales, but I think if I'd had the freedom to read for longer periods, this might not have been a problem. The main strength of this book is, I think, the intricate tapestry of history, folklore, and realism, which addresses the horrors of war and the fragility of mental health. The unravelling of Grandfather is managed so well that it haunts you. This is certainly a book that got under my skin. Having never read any of Dinsdale's novels previously I was unsure what to expect, and found myself trudging through at a slow pace. Within 20 pages, this all changed and I was racing through to the end, sat on the edge of my seat for the last 50 (or so) pages. The book follows the story of a boy, and the tragic events which lead up to him living in a forest for over a year. Within the narrative however you are introduced to fairytales told by the boy's Grandfather which oddly reflect the events Having never read any of Dinsdale's novels previously I was unsure what to expect, and found myself trudging through at a slow pace. Within 20 pages, this all changed and I was racing through to the end, sat on the edge of my seat for the last 50 (or so) pages. The book follows the story of a boy, and the tragic events which lead up to him living in a forest for over a year. Within the narrative however you are introduced to fairytales told by the boy's Grandfather which oddly reflect the events happening in the book. I won this in a goodreads give away and I absolutely loved this book. Started out thinking it would be a lovely sad book about a kind grandfather and a boy, not at all what I expected it to be. One of those easy reads that you cant put down, Im definitely going to recommend it to friends and family! This book took my breath away multiple times. It's so beautiful, yet horrifying and terribly sad. 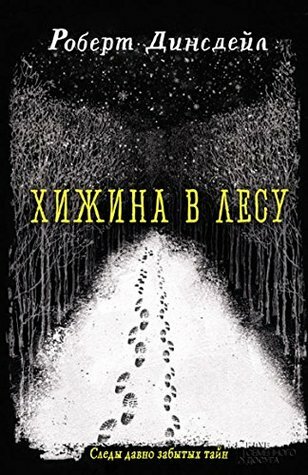 Set in Belarus, a boy ventures into the woods with his grandfather, who has wonderful folk tales to tell...which soon merge into something much more sinister. the way the story unfolds is so gripping, it was very hard to put down. I received this book in a goodreads giveaway and I really enjoyed it! I haven't read a book like it and really enjoyed the storyline! This is the first book of Robert Dinsdale’s that I’ve read and picked up this copy from a wonderful Oxfam charity shop near Tottenham Court Road in London where the synopsis immediately intrigued me and begged to be bought and devoured. I love fairy tales, fairy tale re-imaginings, alternative fairy tales… you name it. Just the mere mention of the word fairy tale will ensure it gets put in my basket and after reading lots of positive reviews of this novel on Good Reads, I was eager to get stuck This is the first book of Robert Dinsdale’s that I’ve read and picked up this copy from a wonderful Oxfam charity shop near Tottenham Court Road in London where the synopsis immediately intrigued me and begged to be bought and devoured. I love fairy tales, fairy tale re-imaginings, alternative fairy tales… you name it. Just the mere mention of the word fairy tale will ensure it gets put in my basket and after reading lots of positive reviews of this novel on Good Reads, I was eager to get stuck in and form my own opinion. Gingerbread is like nothing I’ve ever read before and although fairy tales play a huge part in this novel, it’s not your average “happily ever after” read. If I had to compare it to something, I would probably choose Roald Dahl’s version of Cinderella from his Revolting Rhymes book (not entirely sure why!) except that the story is incredibly unsettling and plays on your mind long after the book has been closed. Does a creepy tone very well, but the mix of stories and reality make it hard to know what's actually happening. I mean, obviously it was intended that way, but I think unintentionally it also made it have less impact. You can't take things as seriously because you don't know where the boundaries are. Spoilers abound but I'm not going to white them out or we'd lose the whole thing. Just skip if you intend to read it blind. For instance, the grandad takes some pretty critical injuries during a fal Does a creepy tone very well, but the mix of stories and reality make it hard to know what's actually happening. I mean, obviously it was intended that way, but I think unintentionally it also made it have less impact. You can't take things as seriously because you don't know where the boundaries are. For instance, the grandad takes some pretty critical injuries during a fall down a hole. His tongue splits in half, his leg is broken and maimed, there is blood and distortion and as a reader you're wondering what happens next, right? But because there was a scene earlier where Grandad had fallen asleep so deeply and silently he appeared dead, and then apparated at the car, I wasn't convinced it wasn't a ghost Grandad. So I fully expected the injured man to reincarnate himself again. Which he didn't, he survived and healed. Which makes no sense, even survivors with incredibly strong will, and the healing advantage of the cold to prevent sepsis - he could not have survived this fall because they'd been scavenging. There's no fat stores to burn through. I just couldn't suspend my disbelief or get a handle on what was really happening because clearly some rules can be bent, if he can live through that and they can live through the winter, but not all rules and not consistently and who knows what they are. So it was a struggle for me to care about the story when I couldn't get a feel for the shape of it. Several story threads I'd have liked to see followed further, like the reunion of Grandad to his girl he was coming back for, are never reached. It's like they drop the low point in his story as the climax and I found it unclimactic because I've read too many genuine survival stories to be surprised anymore. So instead of pushing through it to the ending I was waiting for it just stops short and we never find out how Grandad came to be Grandad rather than just the war survivor. I also didn't learn much woodcraft from it and I'd have liked to. And I thought the sense of fear of the Wild Man made the relationship with the children hard to follow, because they're playing and I'm genuinely waiting for them to be killed and I can't tell if that was the atmosphere he was going for, but it's hard to get into their chatter with each other when you're waiting for doom to strike. A boy's dying mother takes him to live with his grandfather, his 'Papa'. When his mother dies, the boy insists the grandfather respect her wishes and take her ashes to her childhood home, deep in the Belarusian forest. There, the forest renews its claim the grandfather. He has resisted its call for decades, but he is old now, and can resist no longer. The basic premise - The events of World War 2 and its aftermath, told as myth and fairytale by a grandfather to his grandson - was irresistible. G A boy's dying mother takes him to live with his grandfather, his 'Papa'. When his mother dies, the boy insists the grandfather respect her wishes and take her ashes to her childhood home, deep in the Belarusian forest. There, the forest renews its claim the grandfather. He has resisted its call for decades, but he is old now, and can resist no longer. The basic premise - The events of World War 2 and its aftermath, told as myth and fairytale by a grandfather to his grandson - was irresistible. Gingerbread promised much and delivered so much more as Papa's fairy tales darken into something far more disturbing, infinitely more horrible, much more Grimm, and the truth begins to dawn on the boy, that Papa's most terrifying tales - where men eat their friends and the trees become strong on the blood they drink - may not be just stories after all. Papa's tales carry many lessons and morals, most importantly, those of promises and loyalty. And to whom is the Boy most loyal? He tries not to question his Papa, but finds himself torn between the life created for him by his increasingly crazy, feral grandfather, and the world of warmth and light, easy food, comfort and affection, represented by his new friend Elenya. The Boy loves his Papa and cannot forget the promise he made to his mother never to abandon the old man, but the modern world still calls, and is increasingly hard to resist. Gingerbread is beautifully told, and so intricately woven it is sometimes hard to tell which stories are truth and which fable. The language is stunning, the story develops beautifully, unpredictably, and all is so skilful, so superbly done; if Gingerbread doesn't make its way on to a few shortlists this year, I shall be very surprised indeed. This review has been hidden because it contains spoilers. To view it, click here. Gingerbread is an exquisitely written book. It weaves WW2 history, tragedy, the ancient forests of Belarus and (multiple) fairy tale echoes into a slow, beguiling experience. I haven't read other books by this author but from synopses, this seems to represent a successful shift in style. And yet. It took me a while to pin down exactly what I didn't like. The central character, a boy whose name we learn only late in the narrative, is brought by his mother to his grandfather's tenement because she Gingerbread is an exquisitely written book. It weaves WW2 history, tragedy, the ancient forests of Belarus and (multiple) fairy tale echoes into a slow, beguiling experience. I haven't read other books by this author but from synopses, this seems to represent a successful shift in style. And yet. It took me a while to pin down exactly what I didn't like. The central character, a boy whose name we learn only late in the narrative, is brought by his mother to his grandfather's tenement because she is dying. Her last wish is for her ashes to be scattered by the cottage in the woods where they lived when she was small. Grandfather takes the boy to the woods. But after scattering his daughter's ashes, Grandpa doesn't wish to return to civilisation. Grandpa begins to turn, slowly into the wolf (clever) becoming an indestructible creature of nightmare and horror films, surviving exposure and compound fractures and preventing his grandson from returning to the city and school. Reading this, i was immediately caught in wonderful details that really place you in the body and mind of The Boy. Starting on a tragedy, the story wanders into fairytale territory, then ramps up in tension as it ventures into increasingly dark terrain. The Grandfather was an awesome creation - at once reassuring and frightening, and the question mark over his 'real' nature - and the truth behind the fairytales he spins for the boy - kept me tense until the end of the book and beyond. There's a Reading this, i was immediately caught in wonderful details that really place you in the body and mind of The Boy. Starting on a tragedy, the story wanders into fairytale territory, then ramps up in tension as it ventures into increasingly dark terrain. There's a bit of Cormack McCarthy's The Road, Elie Weisel's Night, even a bit of Pan's Labyrinth - but Gingerbread has a sensitive mix of sadness, tenderness, childhood adventure and horror that i'd struggle to compare closely to anything else i've read. Highly recommended. An enjoyable read, this one. I love how it is dark and cold -- you can almost feel the winter on your fingertips and the forest under your feet. The characters are believable and you root for them, their individual peculiarities: the boy for his innocence and being caught between keeping a promise and doing what's right; Elenya for her strength, and even Papa, who is consumed by the wild. The ending came as no surprise, but that didn't stop me from being sucked into the narrative, in much the sa An enjoyable read, this one. I love how it is dark and cold -- you can almost feel the winter on your fingertips and the forest under your feet. The characters are believable and you root for them, their individual peculiarities: the boy for his innocence and being caught between keeping a promise and doing what's right; Elenya for her strength, and even Papa, who is consumed by the wild. The images Dinsdale creates in this book are second to none. He uses language outstandingly creating an image in my mind's eye and then with, what appears no effort, managed to bring the image into high definition focus, as if the event, movement or emotion is happening in front of me. I am still mulling over the plot and its effect on me, but it was compelling. I loved how fairytale, history and the boy's stories were intertwined, in the telling and in the plot. I won this book in a Goodreads competition. It was not at all what I was expecting. Others here have covered what the story is about so I won't repeat it. It is a cleverly written book. I was moved in the beginning and horrified by the end. It really isn't my sort of book but I can appreciate how well written it is. In parts it is really creepy and made me feel quite uncomfortable. I'm pretty sure I won't forget the story anytime soon. a powerful story about family truth and memory and how we come to terms with what we know, what we think we know, and what we want to remember... loved how the author intermingled all the different myths and fables and personages and creatures from these tales... the ending got a bit drawn out, which detracted a bit from the pacing, but i LOVED the ending pages... perfect. That book was one big, long, glorious shiver up my spine. Thank you Juliet Marillier for the rec! A gripping and moving folk/realistic story - loved it. Magical. If you are looking for a grown up take on fairy tales this is the one for you. Dark, earthy full of imagery. Be persistent as it can ramble on but well worth sticking to. What a great book that I couldn't put down. I felt the cold and snow in the woods of Belarus following the story of Alek and his grandfather. It will stay with me a long time. I was born in Northallerton, North Yorkshire in 1981 and went on to study at the University of Leeds. In 2010 I spent four months in Australia researching the novel that would become LITTLE EXILES, which was published by Harper Collins in February 2013.